The boys basketball team went 1-2 over the break with their sole win coming in a 50-36 victory over Redwood Christian. Nice performances came from Brando Pakel, grade 11, with 11 points against Redwood Christian; Gene Wang, grade 10, with 11 points against Monta Vista; and Jordan Goheen, grade 12, with a 19-point, nine-rebound game also against Monta Vista. The Eagles host Sacred Heart Prep tonight and Priory on Friday. Over the break, the girls basketball team went 2-4 with wins over Pacific Collegiate and Watsonville. Jordan Thompson, grade 12, once again led the Eagles in scoring, including a 31-point performance against Watsonville. 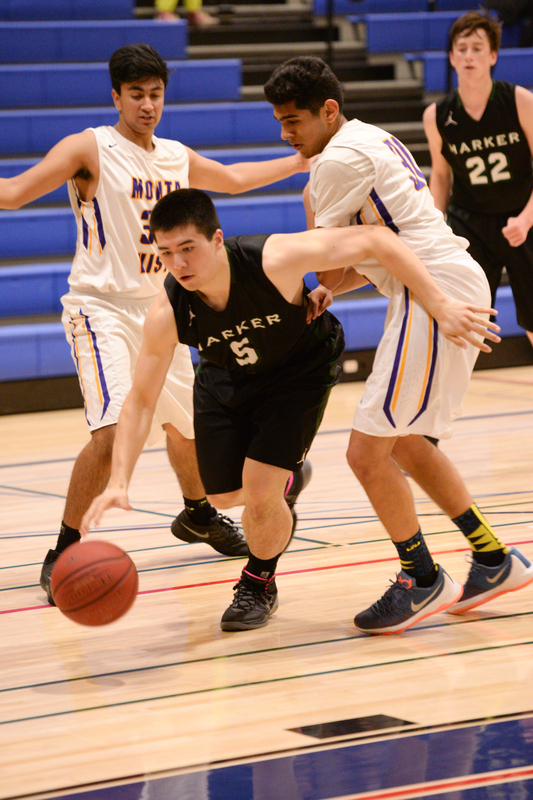 Satchi Thockchom, grade 11, also had a good break with back-to-back 18-point games against Watsonville and Santa Cruz. The girls return to action tonight at Notre Dame San Jose and Friday at Mercy San Francisco. The girls soccer team lost 3-0 to Saratoga High just before the break. The Eagles travel to Mercy San Francisco today and host Pinewood on Thursday. The boys soccer team picked up a 3-1 win over Wilcox the Friday before the break. The Eagles are now 3-2 on the season. This Friday, the boys travel to Hillsdale High School. The Harker wrestling team will compete this Friday at the Ruppel 2nd Man Tournament at Cupertino High School.